By Chloe Brand, from Sheffield YWCA, YWCA of Great Britain. At Sheffield YWCA by undertaking a programme of parenting, independent living and life-skills training, young women are given the opportunity to explore future opportunities and make appropriate, informed life choices as effective parents and fully participating members of their community. 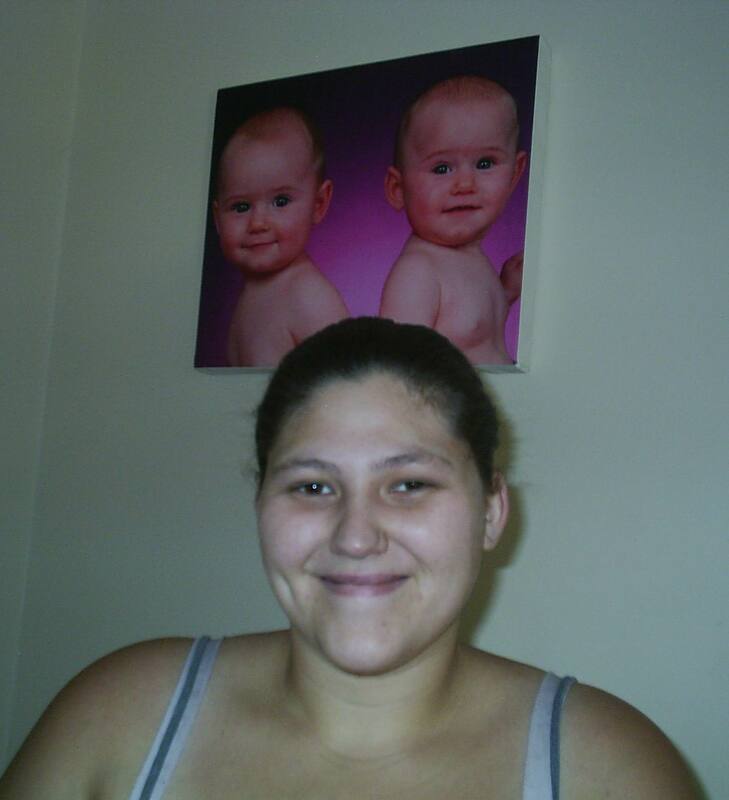 My name is Chloe Brand I am 19 years of age and have two beautiful twin girls aged 20 months called Lydia and Mia. This is my story. I was 17, studying my first year of A levels when I fell pregnant. Even though my partner and I had only been together for 5 months, I knew I wanted to keep my baby no matter what. When I found out I was pregnant it came as a shock, though a bigger shock was still to come one week later. I had my first scan and found out that I was already 12 weeks pregnant and I was having TWINS! When I told my family that I was pregnant with twins they were worried that it would finish my education, but there was no way having children was going to stop me achieving the career I had always wanted. After having my beautiful daughters in January 2010, my whole world changed and my drive and determination increased further. Despite this roughly 3 months later I was diagnosed with severe postnatal depression. I accepted this and started medication immediately. Soon enough it was September and I was getting ready to go back to sixth form and start my A levels from scratch. Nothing was going to stop me! Things were going ok, but with 5 adults, 2 babies and a dog in one 3 bed-roomed house it was not easy. Arguments soon started and my depression began to get worse. It was not long and Christmas had arrived. A time for happiness and laughter, but I didn’t feel like smiling and laughing. Inside I was extremely unhappy and just wanted to cry. But I didn’t. I put a big smile on my face and pretended everything was fine. With exams approaching and stress building it all got too much for me to handle and I took an overdose of my anti depressant tablets. This however was not an attempt of suicide, but a huge cry for help. My health visitor came to see me and spoke to me about what had happened over the Christmas period. She decided to refer me to Sheffield YWCA which runs the Fleming Gardens project which is a housing and support service for teenage parents Sheffield. and I was offered a house in April 2011. I moved in and things are on the up. I am doing really well at college and the arguments between me and my mum have settled down. Sheffield YWCA has given me the opportunity to get mine and my family’s lives back on track. The staff have supported me and have encouraged me to achieve my best in college. My support worker has scheduled my keyworking appointments around my college timetable, which has given me the opportunity to succeed in my studies. On top of this, all the staff at Fleming Gardens have praised me for my achievements, and at the end of my first year I have achieved two B’s, an A and a C. This has made me feel like I have achieved something big, especially with my two daughters as well! In addition to supporting me with college, Sheffield YWCA has ensured that I am receiving the correct benefits, and helped me budget my money to ensure that I don’t fall behind with my bills. It has been extremely difficult don’t get me wrong, but with the support of teachers in sixth form, my family and the amazing staff at the Fleming Gardens project, I know I can provide a better life for my daughters. I am now in my second year of my A levels and I am applying for university, to do a 3 year Early Childhood Studies Degree. I then hope to continue for a year to do my PGCE so I can become a primary school teacher. My daughters are amazing and they’re only 20 months old. I have never been happier. Even though I am still on medication for my depression I’m doing really well and have come so far since moving to Fleming Gardens. Without Sheffield YWCA‘s the Fleming Gardens project I wouldn’t be where I am now. I have just read the remarkable story of Chloe and want to congratulate the management and staff at Fleming Gardens for doing such a great job supporting Chloe.I know the Executive Manager Tracy Guest personally and know how well she does her own job and supports her staff who do great work for people like Chloe.Well done everyone.